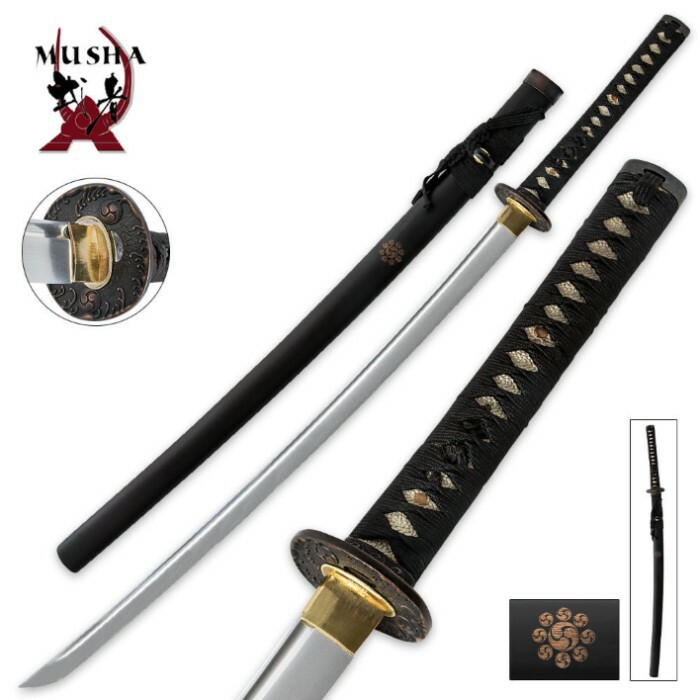 Although technically not part of the Musashi brand, our Samurai Special series of katana swords are produced by the Musashi forge and are a more economical version of Bushido Musashi. Designed to provide our customers with the best katana possible for under $40. These swords are an excellent choice for light entry cutting, training, growing a functional sword collection, gifts and presentations, and general "back yard beater" cutting and show use. this sword without a fake Harmon line is superb and extremely sharp out of the box with no edge burrs, Tight, great balance and at a give away price for the extreme quality it is. Buy one today. It is a serious threat to anything it hits. 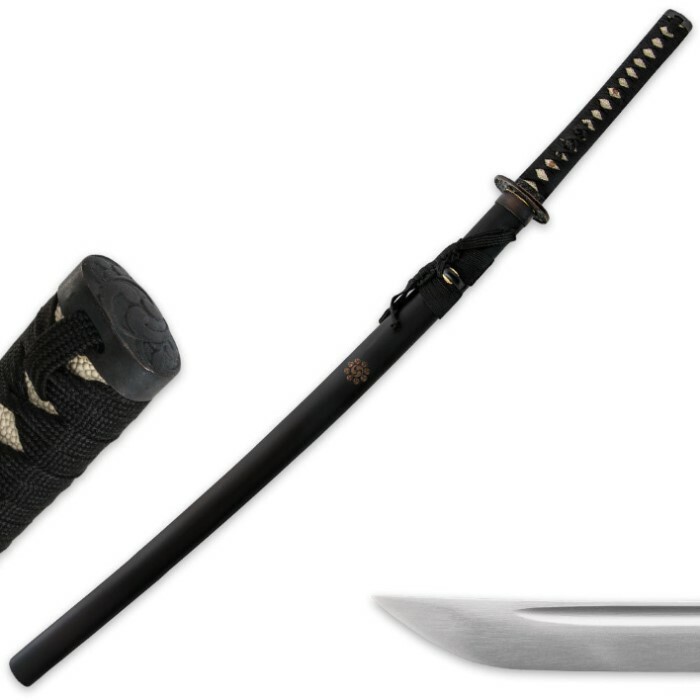 Got this sword a while ago, and the Tsuba is a little loose, but otherwise its ok.
Got this sword yesterday, it is my first katana and I have to say I am very pleased for the low price. It came sharp and so far I have no problems with the tsuba or the blade itself. No rattling and very easy to swing. This sword is perfect for cutting water bottles, grass mats, rolled newspaper, bamboo, and other things. 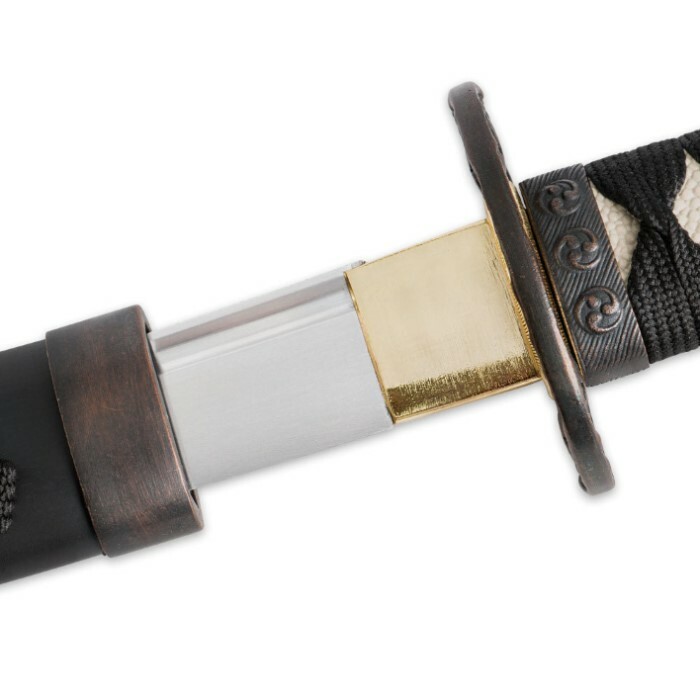 I highly recommenced this sword to my friend and he is going to get one but they are currently out of stock. Just got this in the mail and it is of much better build quality than the price would indicate. Very solid feel and excellent balance. I would have expected to pay + $70 for this sword. Very solid and the engraving adds an overall perfect demeanor for the sword. Already recommending this to everyone who asks about it. Thanks BudK! Realy a battle ready! I tested and no fail. Very especial sword, good balance with easy handles. For the price its very good.